3D printing (also know as additive manufacturing, AM) is any of the various processes used to make 3D-objects. 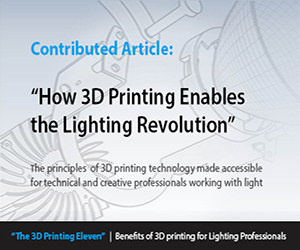 3D printing lighting is a next revolution in the world of making, also referred to as the ‘third industrial revolution‘. In 3D printing, additive processes are used, in which successive layers or droplets of a certain material are laid down under computer guidance. The printed objects can be of almost any shape or geometry, since in the most processes an removable supporting material is printed along with the structures. They are produced from a 3D model or other electronic data source. 3D printing – in the term’s original sense – refers to the process that sequentially deposit material onto a powder bed with inkjet printer heads. More recently the meaning of the term has expanded to encompass a wider variety of techniques such as extrusion and sintering based processes. 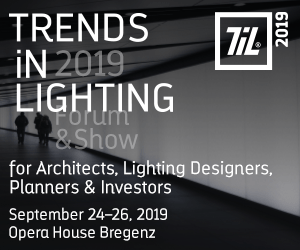 3D printing lighting products is expected to change the way half-fabricates and end products are made and set to change the supply chain. Technical standards generally use the term additive manufacturing for this broader sense.